How did it get to be the week of Christmas? I have no clue, but here we are and it’s high time to make a plan of action. My holiday cooking strategy has been a little helter-skelter this year. December threw us a few curveballs, but this is Life; you can’t expect things to always go according to plan. I have a feeling I’m not the only one just sitting down now with pen and paper and wondering “What to eat for the holidays?”. If you’re asking the same thing this Monday morning, then today’s post will be right up your alley. I’ve rounded up some of my top hits from the archives, from drinks to dessert, main event and aaaaall the sides. So pour a coffee, start a grocery list and let’s figure this out together. Savoury Samosa Galette | Simple to make and satisfying to eat. 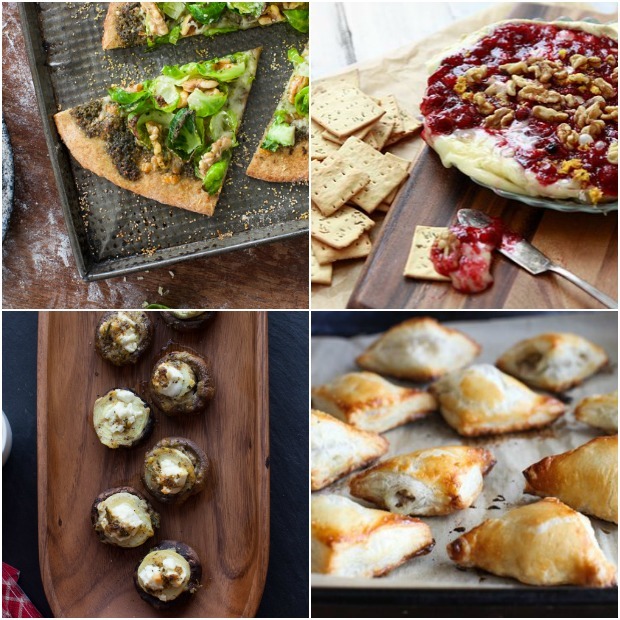 Baked Brie with Cranberry Sauce and Walnuts | Really, really easy. A great last-minute show-stopper. Brussels Sprout, Walnut & Pesto Pizza on Whole Wheat Crust | Requires planning, but can be made ahead and frozen. Mini Tourtiere Hand Pies | Another make-ahead bite that is loved by all. Mediterranean Stuffed Mushrooms | An excellent gluten-free option. Last year I roasted a leg of lamb and the year before that it was a turkey. This year, I’m not hosting the main event on Christmas Day — but I just might cook a feast for New Year’s Eve. These are all good options for the holiday meal. 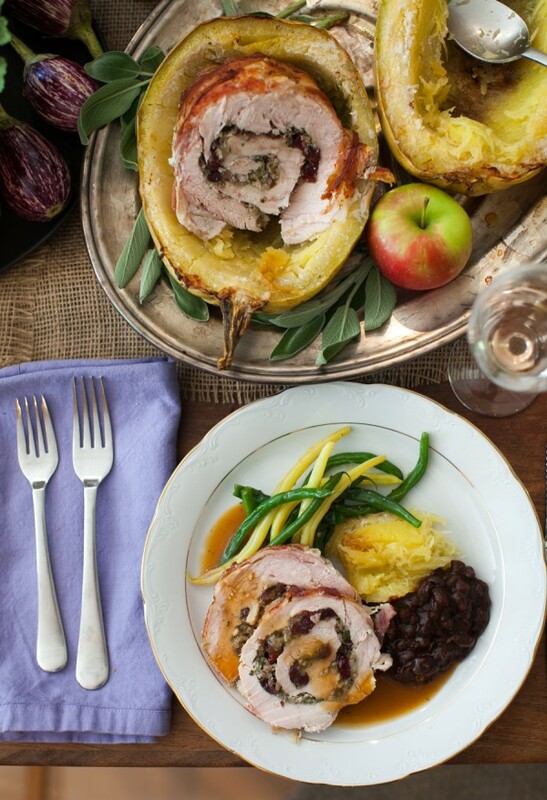 Squash-Roasted, Bacon-Wrapped Turkey Roulade with Cider Gravy | Every bit as good as it sounds (pictured above). Roast Pork with Caramelized Balsamic Onions | Bold flavour and beautiful presentation. The Best Roast Turkey | A SIMPLE, tried and true tutorial. Whole Roast Leg of Lamb with Meyer Lemon & Shallots | Succulent and sensational. Best served with Yorkshire pudding. 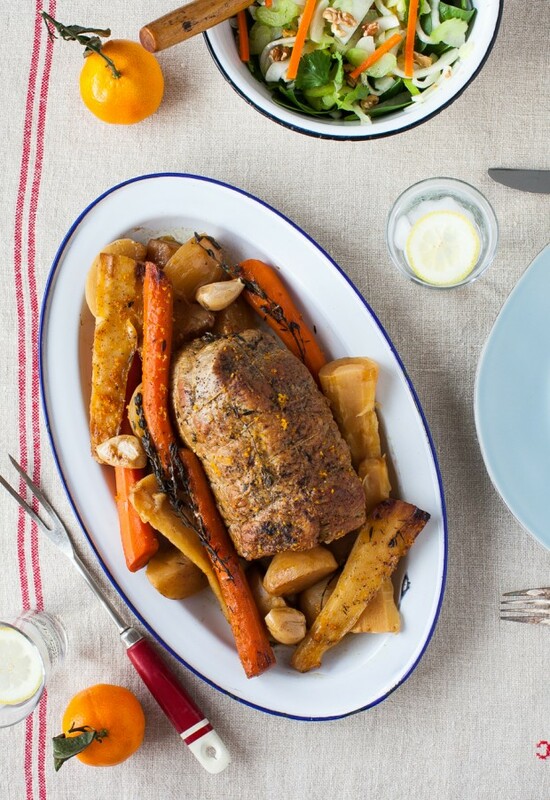 Slow Cooker Veal Pot Roast with Root Vegetables | Minimal fuss, maximum flavour (pictured above). Classic Tourtière (Québec Pork Pie) | Our Christmas Eve tradition. Leek & Mushroom Bake with Polenta Crust | A glorious vegetarian main dish, well suited for cold weather. 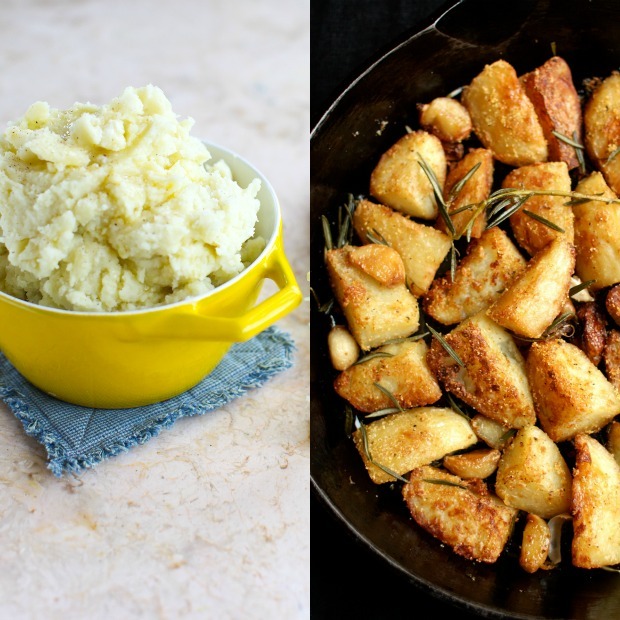 Polenta-Crusted Roast Potatoes with Rosemary & Garlic | One of my most-Pinned recipes and a family favourite. Perfect Mashed Potatoes | A classic, done right. Potato Rosemary Strudel | Throwback recipe from my restaurant days, adapted for the home cook. Simplest Scalloped Potatoes | Just 4 ingredients and absolute killer results. Roasted Cabbage Salad with Brown Butter Croutons | A winter salad you’ll want to make all year long. 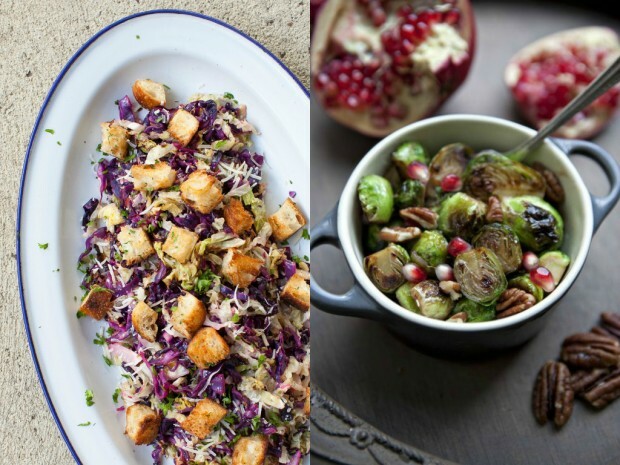 Honey Pomegranate Glazed Brussels Sprouts | Sophisticated flavours. Simple technique. Kale Christmas Salad with Winter Fruits & Clementine Vinaigrette | Literally all the colours of Christmas in one vibrant salad. 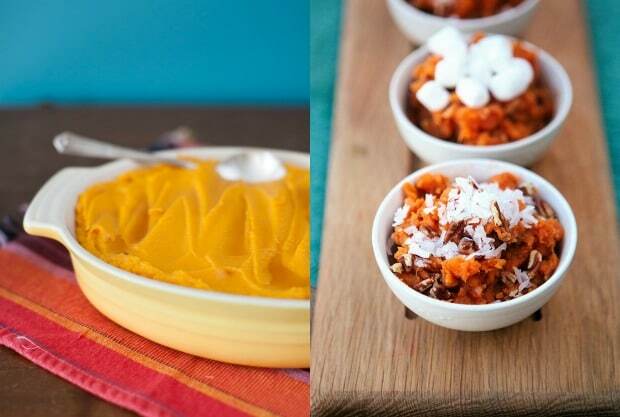 Coconut-Pecan Slow Cooker Sweet Potatoes | Free up the oven and gain a new favourite side dish. Whipped Sweet Potatoes with Browned Butter | Excellent do-ahead recipe. Maple-Roasted Sweet Potatoes and Parsnips | For when presentation is everything (pictured below). Butternut Squash Gratin | A classic, requested every year by my mother-in-law. Fruit and Nut Stuffing with Seasonal Herbs | My basic stuffing recipe, which I improvise upon every year. 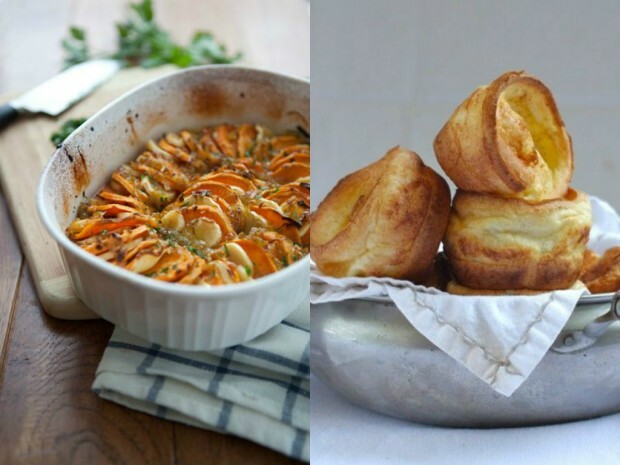 Yorkshire Pudding | Hugely popular with my children and I serve them alongside every roast in the book: beef veal, turkey, lamb – it’s always a good idea to have Yorkies. 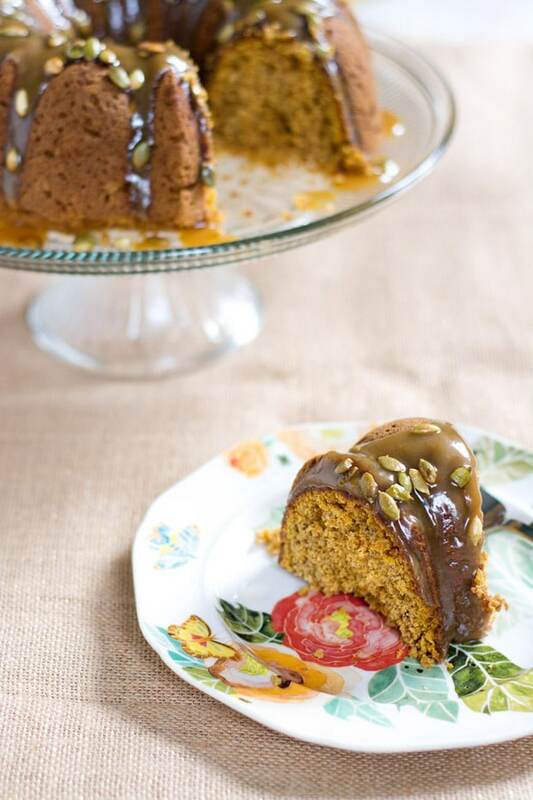 Oatmeal Pumpkin Bundt Cake with Maple Caramel Sauce | Pumpkin loaf all grown up. Mocha Pie with Espresso Whipped Cream | For the coffee lovers. 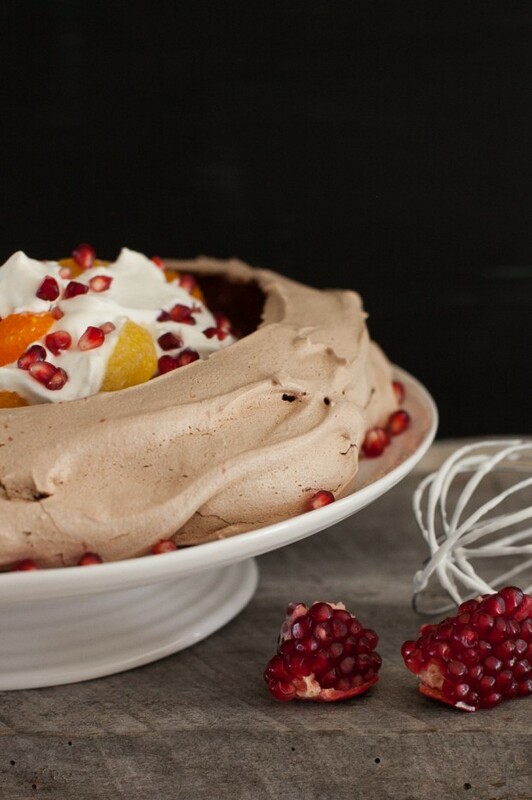 Chocolate Pavlova with Winter Fruits | An utterly beautiful dessert that is on the lighter side. An ideal finish after a rich meal. Cranberry-Orange Pie with Cornmeal Streusel Topping | Fruit pies have my heart, especially this tangy winter tart. 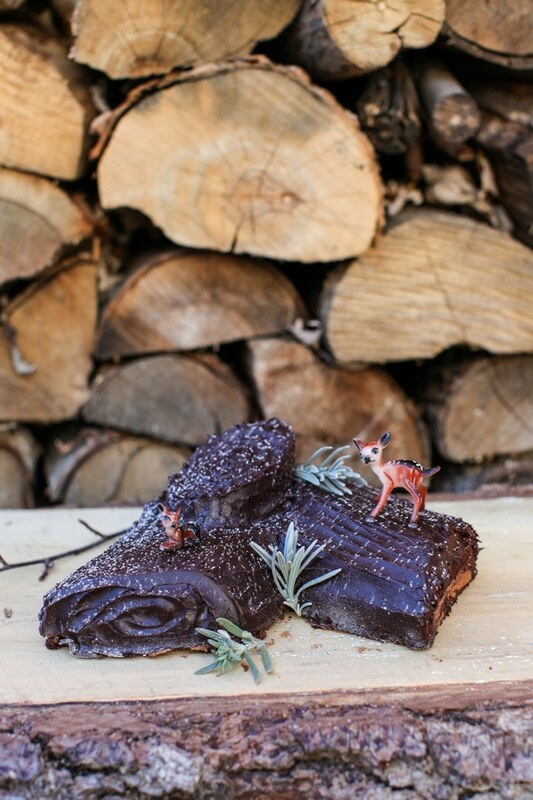 Chocolate Hazelnut Bûche de Noël (Yule Log) | A fun kitchen project and a traditional holiday show-stopper. Black Forest Brownie Trifles | A gluten free dessert that is as festive as the rest of them. 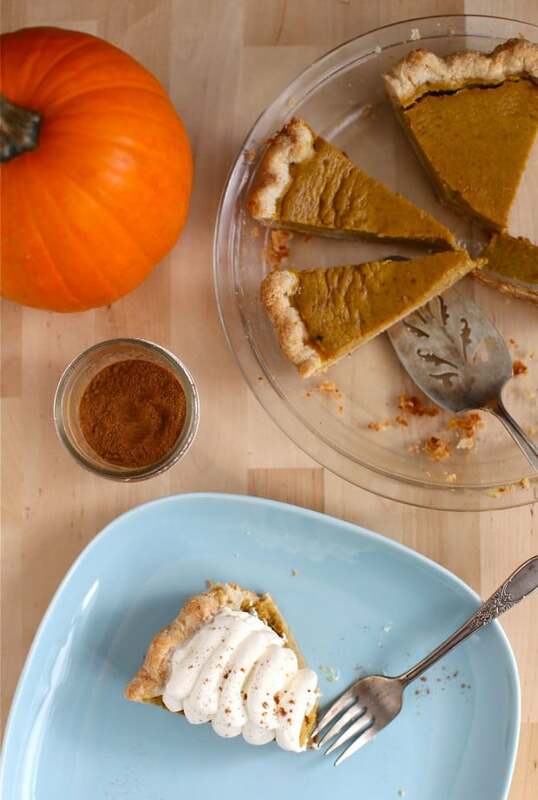 Maple Pumpkin Spice Pie | Hands down, the best pumpkin pie out there. Chocolate Pumpkin Baked Doughnuts | My son Noah can mix these up on his own – and he probably will on Christmas morning. 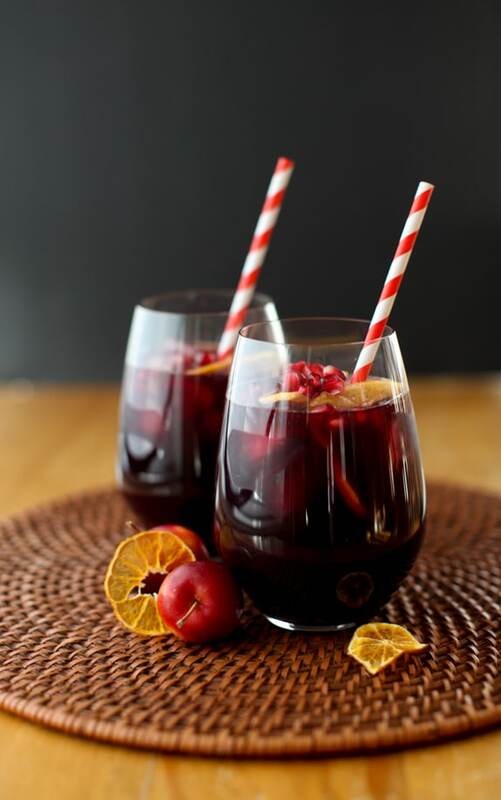 Winter Sangria with Citrus and Pomegranate | I’ll be making a big batch of this fragrant Christmasy sip for my upcoming cocktail party. Raspberry Rhubarb Collins Party Punch | This pretty little punch uses frozen fruit, so really, there’s no excuse not to enjoy it year round. 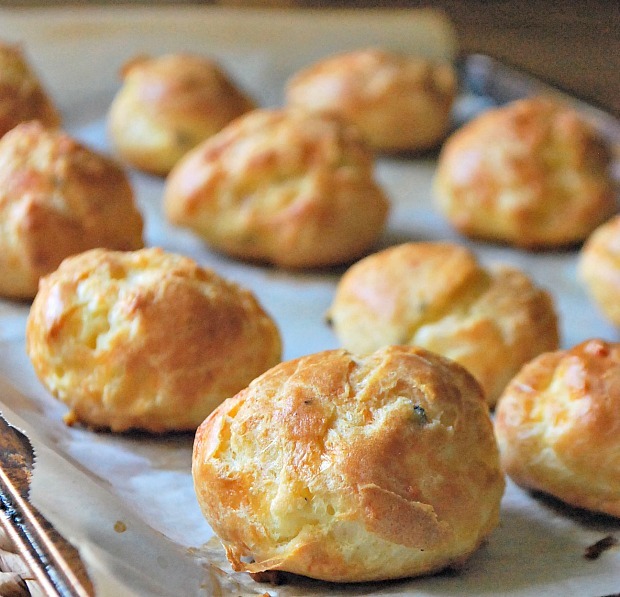 I hope you’ve found a dish or two to incorporate into your holiday menu. Happy Cooking! So what’s cooking in your kitchen this week? So many great bites!! Now what shall I make first?! What a gorgeous round up Aimee!!! Great compilation. My kitchen has hit a lull. Work, kid with the flu, etc., wah! But I am prepping for linzer cookie dough to be made later today. I’m sandwiching them with my chocolate raspberry jam. So I can’t wait to try them! Oh my, yes to all of this. The end of the summer is the perfect time to have a huge such amazing sweet.